CHALE 2 BEDROOMS WITH BALCONIES and 2 BATHROOMS. 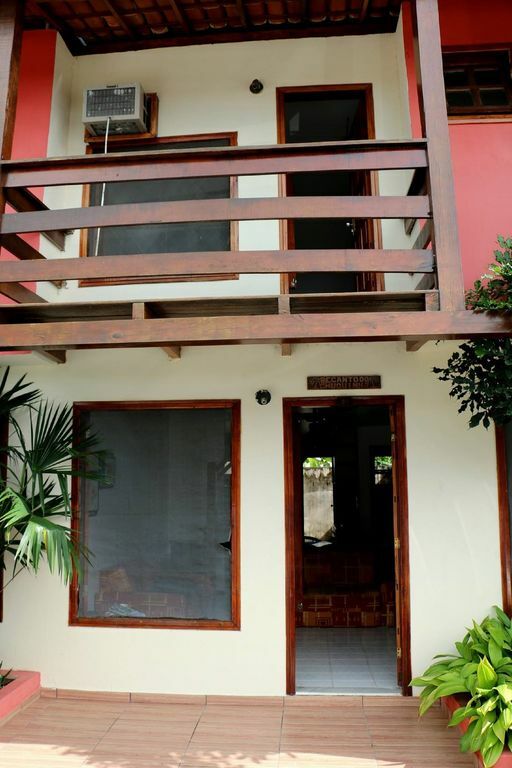 Chale very cozy and comfortable, with seating for 7 people, located 02 blocks from the beach. It has swimming pool, barbecue area, 2 bedrooms with balconies and 2 suites, air conditioned in the rooms, an outdoor area and play area for the children. full kitchen, stove, refrigerator and freezer, ceiling fans in the kitchen and bedrooms. 2 Sofas that can turn bed, TV. Parking for 2 cars. 2 bathrooms that are part of the suite and another bathroom in the television room.